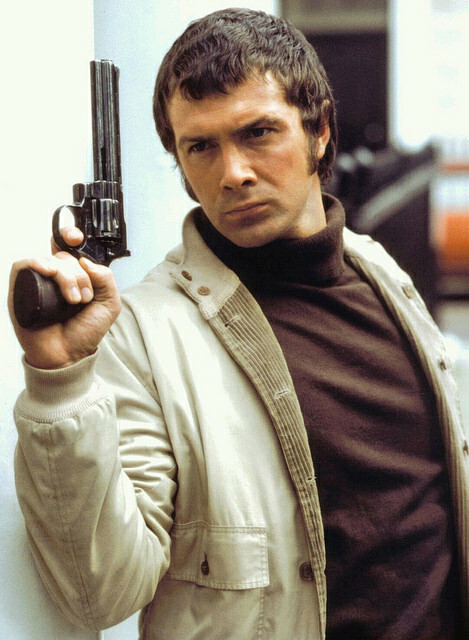 #384....."LEWIS COLLINS" - BODIE 3.7 . you'll never walk alone ! Ahhh, classic! Great shot, thank you. always.....and thankyou for stopping by to take a look. I do love him looking all focussed and competent! Thank you for a brilliant pic! Me too, there is something about Bodie when he is in this type of mood. A perfect Pros pose. Thanks. ooooh yes indeed and one that i am enjoying very much. Thankyou. I know exactly how your icon feels...especially over this pic.I love Bodie when he is in this mood. Oh, lovely classic Bodie. Thank you! mmmmm indeed and looking mighty fine, all focused and every bit he deadly ci5 agent that he is. Mmm more lovely :) Thank you! oh absolutely and thankyou for looking at it. A fav jacket, classic Bodie - what more could anyone want ? yes, i love him in that jacket too and i love him when he's in this type of mood. Exactly, what more could you ask for, thankyou. I agree with the other comments, classic Bodie sums it up nicely. yes it does and this mood suits him, focused and defiant.....yum.